More organisations are implementing application and desktop delivery solutions. At the same time end user experience is paramount to ensure that the workforce is able to use their business tools efficiently. End users now use more devices than ever before and are consuming a growing number of resources from multiple sources. 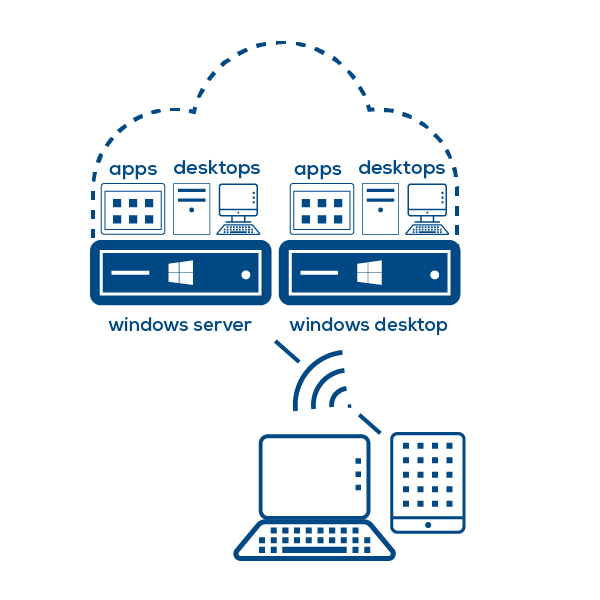 On any given day a user could access a Windows desktop PC, a virtual desktop, local and virtual applications, and web applications, all hosted on different operating systems and environments. On top of this the devices they use, and potentially the applications they use, may not be managed by IT. Implementing a User Environment Management solution will deliver and maintain the User Workspace in a clear, visible, predictable and performant way, independent of the device, application and desktop delivery method. The focus is primarily on the end user and not the end user’s device. Virtual Engine has a suite of solutions that are focused on your end user experience. In traditional workplace environments users would be provided with a Windows desktop. The desktop would be managed by various software packages in order for the IT team to provide a service. All of these functions were likely focused on managing the client device and not the user’s workspace. The changes that are made to a user’s environment were not captured, not backed up and therefore hard to recreate. These settings are more than often the settings that make a user more productive, whether it be their email signatures, custom dictionary items, recent documents or saved passwords. What happens if your desktop breaks, you work from a different office or hotdesk? It would be likely that the user would have to “make do” with the tools available to them or log a call with IT in order to obtain the resources they need to work. This model is no longer sustainable. It is no longer feasible to focus solely on the management and maintenance of IT systems without taking into account the user. Users need to have a simple, uniform, consistent, fast and reliable workspace environment. 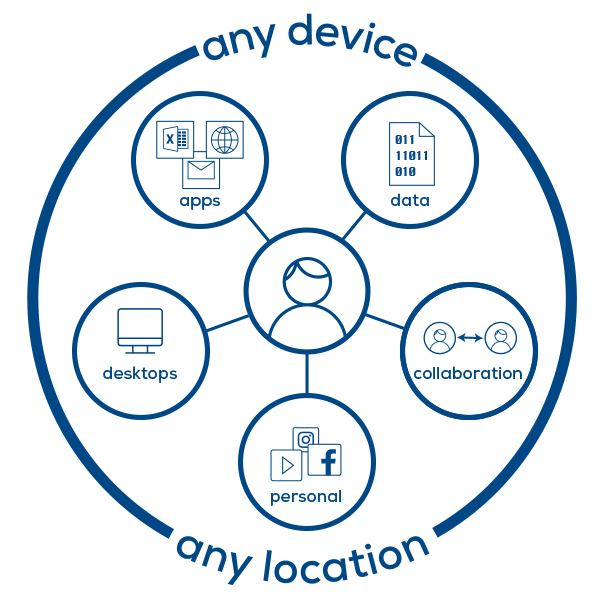 Administrators would like to be able to manage this workspace centrally, regardless of whether it is a physical or virtual workspace, implemented locally or centrally and whether the applications are installed, streamed or virtualised. In many organisations the term ‘User Experience Management’ is becoming more widely known. Virtual Engine has many years experience delivering workspace solutions to enable on premises and mobile working for some of the UK’s largest organisations. 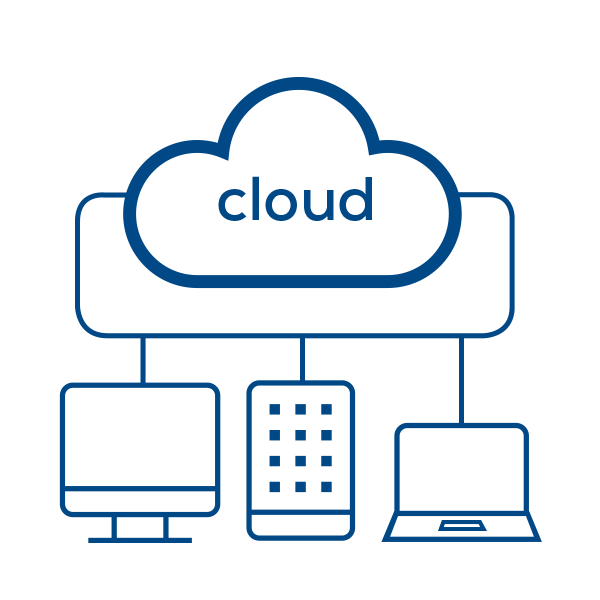 All of our consultants are fully qualified to deliver solution architecture and design, training and support for desktop virtualisation; server based computing and Cloud infrastructures. Centralise and generalise the users profile will enable migrations from old to new operating systems a simple and risk free transformation. Provide administrators with reporting capabilities across the estate in order to ensure compliance with software licensing. Virtual Engine partners with Amazon to provide customers with a complete Desktop as a Service solution. Using Amazon WorkSpaces has many benefits compared to physical desktop or laptop computers, including security, flexibility, and cost-efficiencies. The User experience is the best possible with Amazon WorkSpaces as it is a one-to-one virtual desktop. It provides access to software applications and data on a familiar Windows interface from your PC, Mac, Android tablet and most other computer devices. And all from a standard Internet browser. With Amazon WorkSpaces you have the flexibility of four plans: Value, Standard, Performance and Power, with a further Graphics option for those users requiring graphically intensive applications. Should your users need to move from one plan to another, that’s easy too! Virtual Engine offers customers a flexible end-to-end service from Proof of Technology all the way though to a Managed Service. Contact Us to learn how Virtual Engine can get you up and running with a two month Amazon WorkSpaces Proof of Concept with no initial investment in technology. With over 90% of organisations now using Cloud services, the Cloud is here to stay. It’s mainly a case of how much and how soon. So, what is the best way of getting there? With a mixture of current investment, capacity constraints, legacy applications and questions of compliance and security, what is the best approach? Virtual Engine can help you with assessing and advising what parts of your infrastructure and which services could be moved to the Cloud. We can help you plan your journey to the Cloud and help move in practical and manageable steps. While in principal simple, moving services from on premises to the Cloud has some challenges and Virtual Engine’s consultants have the knowledge and experience to enable you to perform a trouble-free migration. Virtual Engine can help you to migrate to Office 365, adopt backup and DR services or move production services to a public Cloud, whether that’s Microsoft Azure or Amazon Web Services. Managing a Cloud or hybrid infrastructure presents new challenges. Virtual Engine can help you with services ranging from 3rd line infrastructure support to proactive management. Contact us to discuss how Virtual Engine can work with you to design and deploy your cloud Strategy. Many organisations offer their employees the opportunity to work from outside the office to achieve greater efficiencies, cost savings, and also have a happier workforce. Staff expect access to all the IT resources they need to be productive from any location and from whatever device they choose. This typically includes a high performance remote access solution so that they have everything they need to perform their job well. Providing secure remote access to applications and data is a significant challenge for the IT team. Any secure remote access strategy today must account for a significant number and diverse type of user and devices that require access to a wide range of resources. The IT team must ensure that their remote access solution is secure and keeps sensitive information safe. To aid customers in the provision of a secure remote access service to employees Virtual Engine delivers solutions that are both flexible and secure. Contact Us to discuss how Virtual Engine can help you with your secure remote access strategy. IT is now key in every component of the modern organisation. The problem is that the IT team is expected to not only keep the lights on, but also be responsible for flexible working, GDPR, and a constant stream of new business software applications. The increasing amount of knowledge required makes it impossible for in-house staff to be experts in all areas of the ever changing world of IT. Decisions on procurement should be straightforward, but this is often not the case. How do you find the right supplier with excellent product knowledge, logistical knowhow that also offers a friendly service? Virtual Engine has a highly skilled consultancy team and offers true value to customers as we make recommendations based on our own experience. We can help you with all aspects of product selection, sourcing the item you want at a competitive price, and manage the logistics and delivery process for you. Contact us to discuss any aspect of IT procurement and we would be happy to help!